Capture huge profits, even in today’s volatile market, without investing in futures, options, derivatives or other highly risky and speculative investments. Zero in on the rising stocks that have the market share, the technology, the sound management and the hidden assets to become big winners for you. There’s a good reason why so many Canadian investors are glad they tried the more aggressive recommendations in Stock Pickers Digest. Those recommendations can produce a big jump in the value of their investments. I value safety first in investing. That’s why we get so many explosive results with our aggressive stocks in Stock Pickers Digest. There’s no contradiction in this. When your aim is a balanced portfolio built on a solid foundation, you seek out lasting value. With our experience, we find the stocks that will take off and keep on rising, and avoid the stocks whose weakness means a quick rise is sure to give way to an even faster fall. With this approach, I can promise consistently strong stock picks. And stock picks that reward investors for years. Witness the spectacular performance of our best Aggressive Stock of 2012. Quebec-based convenience store Alimentation Couche-Tard (Toronto symbol ATD.B) is probably better-known to investors now than it was when we made it our top pick. It shot up 59.8% the first year. And that proved to be a modest beginning. The stock has come through several market upheavals and a 3-for-1 split in April 2014—and has risen 473.3% since we made it our top Aggressive Stock in January 2012. Stock Pickers Digest lets you select different types of stocks. Our picks may be small caps or mid-caps or even large cap stocks. They could be established companies or juniors. They could be financial stocks different from the big banks and insurance companies, like Broadridge Financial Solutions. It’s up 64.3% in two years in spite of volatile markets, and still yields close to 2% on its dividend. Or you will find often-overlooked stocks like WestJet Airlines, which has risen 188.4% since we first made it a buy six years ago, despite the very cyclical nature of the airline business (and its dividend yields 2.5%). Save $50.00 when you subscribe to Stock Pickers Digest, the advisory that tells you which undervalued stocks could make you 50% richer in 6 months or less. 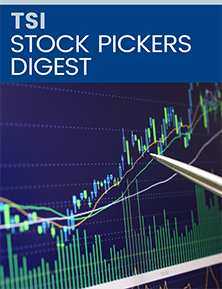 Click the button below to claim your FREE Special Reports when you subscribe to Stock Pickers Digest. Our approach is unique. I call it a conservative approach to aggressive investing. Our goal is to put you in position to maximize your gains with the minimum of risk. And, time after time, we have recommended stocks that produced enormous gains even in the most volatile markets. That’s a great risk-reward proposition. We seek out hidden value. These are assets that don’t always show up on the balance sheet, but make a company ripe to soar—or attract takeover bids. We’ve had many picks soar on takeovers. Aastra Technologies was our Pick of the Month in October 2013. By the end of the year it had more than doubled on a takeover bid from Mitel Networks, rising 104%. Tim Hortons was our top pick for August 2014. A month later, the stock jumped on Burger King’s takeover bid. When the bid closed in December 2014, it had gained 65%. Here is exactly how Stock Pickers Digest can help you achieve bigger returns. #1: Stock Pickers Digest helps you avoid unnecessary risk. My approach to aggressive investing is based on finding stocks with value. I’m not interested in stocks with a “good story” or high-flying stocks that plummet as quickly as they rise. We have demonstrated that by taking a more conservative approach to aggressive investing, you can make large profits without undue risk. #2: Stock Pickers Digest is not limited to any one type of investment. Our picks may be small caps or mid-caps or even large cap stocks. They could be well-established stocks or junior stocks or even the occasional new issue. They could be oil or gold stocks, Canadian or U.S. stocks. All that matters is that we see the potential for big profits—without big risk. #3: You get my updates and recommendations between issues every week on the Stock Pickers Digest Email Hotlines. You get late-breaking news on the stocks we’re following for you. Things can change quickly with aggressive stock picks and you will know immediately what is happening and whether it affects our recommendation. Our Stock Pick of the Month in every issue, all 12 months of the year. You discover the growing stock we believe has the best opportunity to surge in the months ahead. Specific advice you can act on for up to 20 more stocks< we feel have exceptional potential for big growth, all accompanied by our clear buy-hold-sell recommendations—in every issue of Stock Pickers Digest. A clear choice of buy or sell for all of the aggressive stocks we cover for you including rising tech stocks, Canadian mining stocks, Canadian growth stocks and many more. Knowing which stocks are making important moves in your weekly Email Hotline from Stock Pickers Digest. Free unlimited browsing in a large online library of valuable stock information and advice with the past 10 years of back issues of Stock Pickers Digest—at no extra cost whatsoever. Stock Pickers Digest was created to uncover stocks like this, hidden from the attention of most investors, but with big growth ahead of them. In this invaluable Special Report, you’ll discover how to tap into stocks that could grow 300% or more in a short time. And you’ll learn how to find the right stocks in the right sectors, how to know when it’s time to cash out of a stock, and most important, how to use all this information to potentially become 50% richer within 6 months. When oil and gas prices recover, several Canadian energy firms have prepared themselves for a quick, explosive rise. In this Special Report, I outline 6 oil and natural gas companies that are on the cusp of surprising gains. Any one of these stocks could bring you profits of 50% or more in the year ahead. For select Canadian resource stocks, even a small boost in metals prices means massive rises in company profits. Find out which ones. In this exclusive report, I name 5 of these stocks that are poised to move up quickly and reward investors with big gains. All four of these reports are yours FREE with your no-risk trial subscription. Along with everything you get from us, you have the protection of my money-back guarantee. If you ever feel that Stock Pickers Digest is no longer for you, you may cancel anytime and we will return 100% of your money on unserved issues whenever you ask. Everything you’ve received from us is yours to keep. You have no risk. If you want to zero in on the fast-rising stocks in today’s uncertain market, you’ll want to take advantage of my proven investing approach. You’ll find these winning stock picks in each and every issue of Stock Pickers Digest. So don’t delay. Subscribe now.